I write mathematical computer code. ... And see if I can find what I'm hunting for. Failing that, typing 'alpha Unicode' into Google hope for some symbol I can copy and paste. 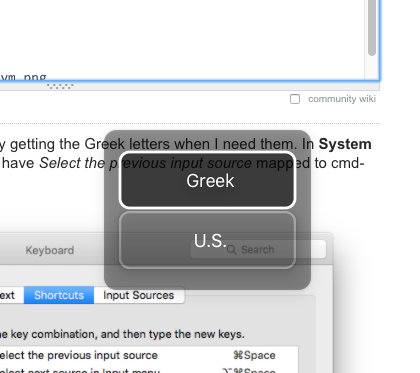 I discovered that in system settings -> keyboard -> keyboard, I can "show keyboard and character viewers in menubar". 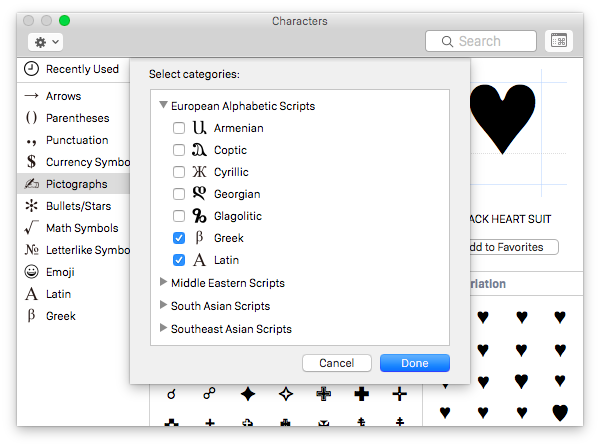 The character viewer looks like it will come to the rescue, but ... no Greek symbols! ARGH! In the top left-hand corner of the Character Viewer, there’s a gear icon. The first option is “Customise List…”. I don’t have a Mavericks machine to hand to check, but I’m fairly sure this feature existed before Yosemite. The Greek letters map to the English letters in a much more rational way than what you get with holding option and hunting/pecking. The one caveat is that cmd-space is natively mapped as a shortcut for something else, but considering that I can't even remember what that something else is it wasn't very important. For completeness, it turns out that cmd-space is normally a shortcut that brings up a Spotlight search bar. 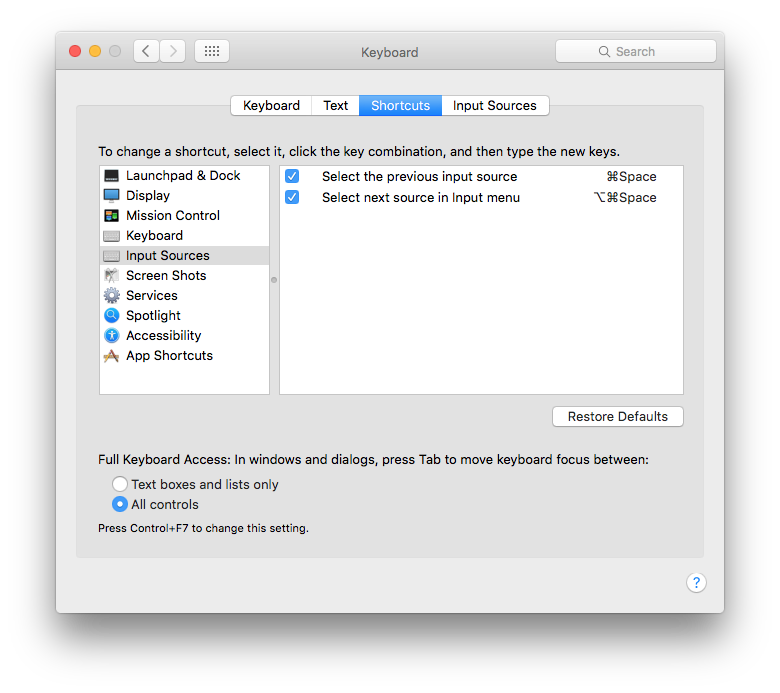 It can also be downloaded and installed on a Mac, and put into a Service so it is easily accessible within Keynote and Pages. Not the answer you're looking for? 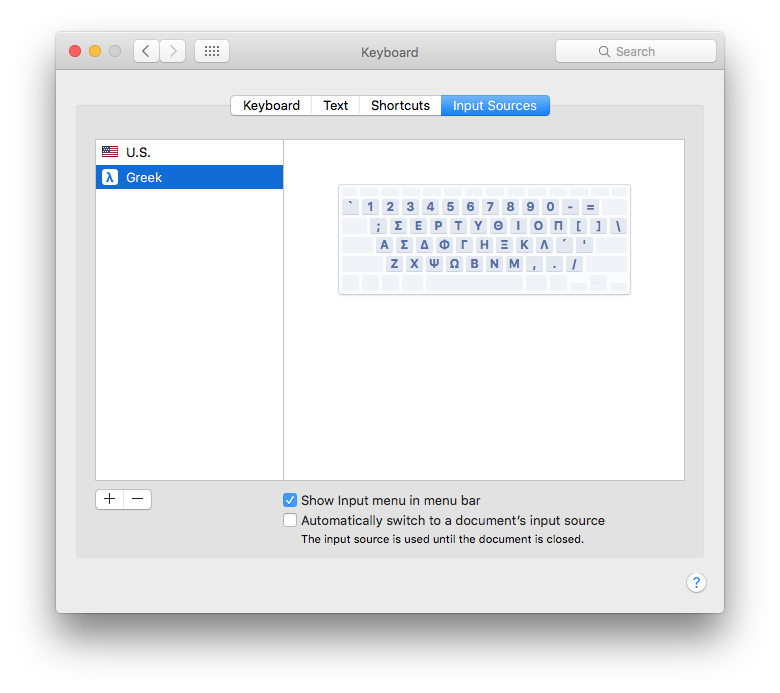 Browse other questions tagged macos mavericks character unicode character-map . Can you get blackboard letter N, R, etc., symbols for mathematical notation? How to type foreign currency symbols on iOS?